The Venue: Where It's At! There are many ingredients that come together to put on an event like The Palestinian Bazaar. Check out the ways you can sell or exhibit goods at the afternoon bazaar or volunteer behind the scenes to help make this great event happen! Please email us with any inquiries. Please assist us in providing you with the best possible Bazaar Exhibit and Sales experience by completing the following form. The form should be submitted by all individuals or groups that wish to apply to have a table at the Bazaar for the purposes of disseminating information or selling wares. (See HSI Palestinian Bazaar Exhibitor and Vendor Policy) After you have submitted your form, a Palestinian bazaar representative will be contacting you to finalize your application. * These are required fields that must be filled in order for the form to work. If you are representing a business, group, society or organization, please provide the full legal/registered name. Please indicate how you would like to participate in the bazaar. * Check this box to indicate that you have read and agree to the Terms and Conditions outlined in the HSI Palestinian Bazaar Exhibitor and Vendor Policy. The agreement to these Terms and Conditions forms the contract between The Palestinian bazaar/HSI and the Exhibitor/Vendor. If your application is successful, you will be invoiced a table fee by HSI by email (See the HSI Palestinian Bazaar Exhibitor and Vendor Policy). Please ensure that the email address "info@humanserve.org" is an allowed sender and will not be blocked or marked as spam by your email client (e.g. Microsoft Outlook) or webmail (e.g. gMail). If you have any questions about become an exhibitor or vendor, please email us with any inquiries. If you are having any problems with the form, please contact the webmaster. Please assist us in providing you with the best possible Bazaar volunteer experience by completing the following form. The form should be submitted by all individuals who wish to volunteer for the Bazaar. (See the HSI Palestinian Bazaar Volunteer Policy.) After you have submitted your form, a Palestinian bazaar representative will be contacting you to finalize your application. If you would like to provide your CV or résumé, please send us an email. * Do you plan to attend the Evening Performance? Yes No Note: We are providing a special discounted rate to all volunteers for the evening performance and we need to know whether or not you will be attending for theatre capacity and fire regulation purposes. * Check this box to indicate that you have read and agree to the Terms & Conditions outlined in the HSI Palestinian Bazaar Volunteer Policy. Parking in Canada Place and Library Parkades allows access to the Theatre through the Pedway. 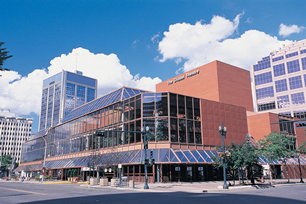 Click here for a map of all parking options, LRT stations and pedway locations in the theatre district. Click here and scroll to middle of page for additional parking and access information for the Citadel Theatre. 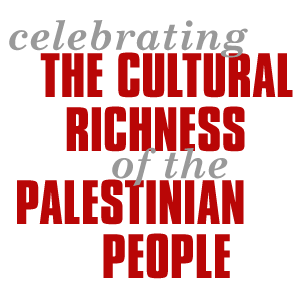 The HSI Palestinian Bazaar will supply table(s) to the Exhibitor or Vendor. The HSI Palestinian Bazaar is not responsible for any lost, stolen or damaged items. The agreement to these Terms and Conditions forms the contract between the HSI Palestinian Bazaar and the Exhibitor/Vendor. If my application is successful, I agree to pay $100 for every table I request. I will pay the HSI PayPal email invoice sent from "info@humanserve.org" on or before March 1, 2015 OR I will make arrangements with the Festival Director to pay in person by cash or cheque if I do not wish to use any of the electronic payment options offered by PayPal. I give permission to the HSI Palestinian Bazaar to reproduce images, logos, audio and video clips that I have submitted for promotional purposes. I am responsible for my own cash float for making change for sales at the bazaar. I will be responsible for my own display area and for the set-up and break-down of my display, including transportation of goods, set-up & clean-up and the manning of my area. I will abide by the policies of the HSI Palestinian Bazaar, including, but not limited to, zero tolerance for use of controlled drugs, harassment, and consumption of alcohol while on shift. Volunteers will have access to all areas of the Bazaar site on March 30, 2013, including back stage during the comedy show without charge (except for food and beverages). Volunteers will be provided the opportunity to attend the evening comedy show at a special rate. The HSI Palestinian Bazaar is not responsible for any lost, stolen or damaged personal items. I will attend volunteer committee meetings. I understand that if I request a special volunteer priced comedy ticket, but I subesequently forget it, lose it or am otherwise unable to produce it at the door of the Westbury Theatre for the evening show, I will be denied access to the theatre. NOTE: A volunteer will ordinarily be a person 15 years old and older. Volunteers will NOT bring any children 14 years or younger to their work shifts. Volunteers do not incur any personal civil liability in relation to any act or omission done or made by the volunteer in good faith when Volunteering for HSI Palestinian Bazaar work. The HSI Palestinian Bazaar will maintain adequate insurance and will retain legal representation for any charges of criminal or civil liability. You are not covered if you are involved in a criminal act, intoxicated (any level of alcohol) at the time, fail to exercise due care and skill when doing the work. Web site hosted by Mallennium WebVentures Ltd.